You have to set a believable expectation. You cannot expect the unit to turn your terribly dirty house into a squeaky clean home. There are particular dirt, stains and other objects that will require you to clean the parts manually or do the process over and over again before you can totally get rid of these elements. The heat from the steam is really able to kill germs and bacteria as advertised by many of the units’ brands. Some models can produce steam that is hotter than 200° F.
Make sure that you first check with the manufacturer of your flooring if it is safe to be exposed to this kind of cleaning tool. It can leave water residues, especially on gaps, which may cause damage on certain finishings, so it is best if you will first ask about the matter from the right expert. It is best that you stack up cleaning pads that will be used for your chosen unit. Although these pads can be machine washed, you would not dare wash it along with your clothes and other linens. It also does not look pleasing to hand wash the material after it has already accumulated dirt and grime. The capacity of the water tank or tanks. It is better if you will get the models that will allow you to use the steam feature without running out of water fast. Certain models can be used continuously for up to 45 minutes without the need to refill the tank with water, but there are also units that have to be refilled with water after 10 minutes or even less. Lights as indicators. The unit of the steam mop has to have specific indicators when it is turned on when the steam is ready to be used and when the tanks need to be refilled with water. 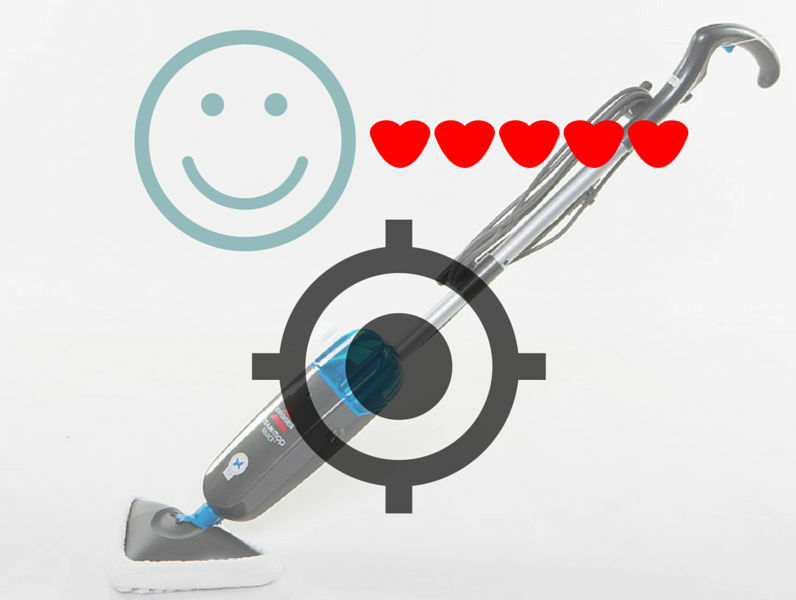 This way, you will get alerted even while you are engrossed in the cleaning process. The length of the power cord. This will come in profitable, especially when you have a big house and you don’t want to restart the unit now and then whenever you are changing the area of your home that you are dealing with. The power cord has to be lengthy, but this must also be pliable and not stiff. If it is too stiff, it might get in the way of cleaning and it might also become a problem when you are storing the unit.